Whether you are trying to actively lose weight or simply to maintain a healthy weight, one thing that almost guarantees success is getting the right amount of calories each day. This is easier said than done, however. If you’re wondering “how many calories should I eat daily?” you’re not alone. Many people wonder what the right amount is and often allow themselves too few calories when trying to lose weight. In this article, I hope to address once and for all the amount of calories that each of us needs to eat daily. A calorie is a measurement of energy. Although it can be used to measure many different types of energy, we probably see it most often on the back of our food and drink packaging. The energy in foods and drinks are measured in calories. Why should we care how many calories of energy our food contains? In simple terms, we need to strike a balance between the amount of energy we consume and the amount we expend through exercise. If we take in more calories than we need, we will gain weight. You’ll find yourself paying extra attention to calorie counts if you want to lose weight. To shed unwanted pounds, you need to lower your daily calorie intake so that you are consuming less energy than you use each day; this is called a caloric deficit. We can’t ignore the fact that this is a huge percentage of the population. How did we get here? Well, many of us are continuously eating too many calories on a day-to-day basis. A common misconception is that you must be binge eating regularly to become overweight. However, the truth is that even a small caloric surplus everyday can lead to a noticeable increase in your waistline over a period of months or years. 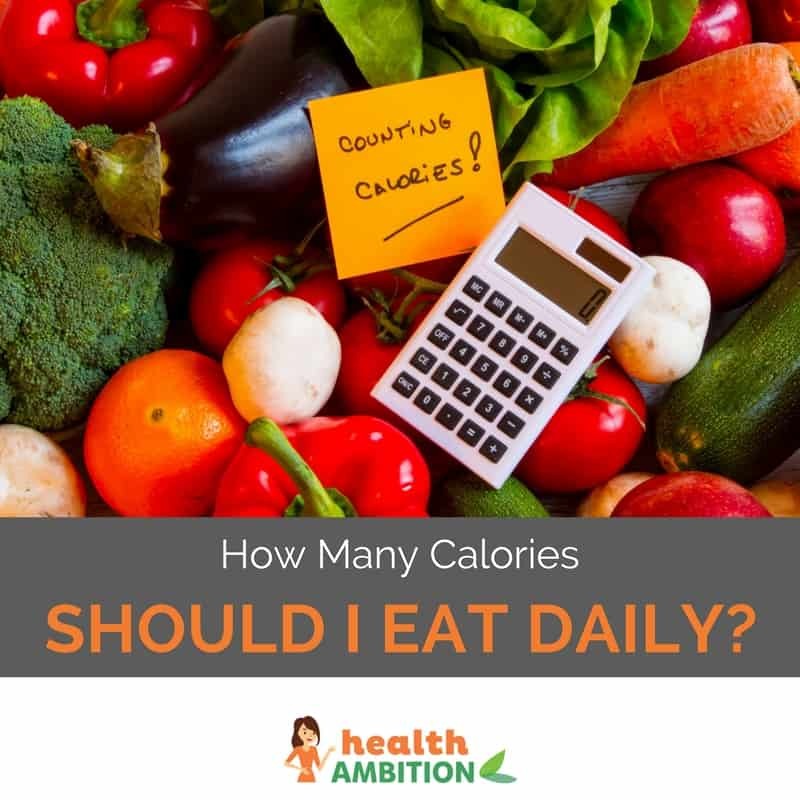 On Average How Many Calories Should I Eat Daily? The exact number of calories you need to eat each day depends on a number of factors. These include your gender, age, height as well as how active your lifestyle is. Most sources will tell you average woman needs around 2000 calories per day in order to maintain her weight, while the average man needs around 2500 calories. Both need about 500 calories less each day if they want to achieve weight loss. Regardless of who you ask, these figures are just an average. Those with sedentary lifestyles will need fewer calories to meet their weight loss goals, where those who are more active won’t need to reduce their calories so much. There are a number of online calorie counters which can help you to figure out the ideal amount of daily calories for you personally based on your current measurements and lifestyle. What if I Want to Lose Weight? The biggest mistake many people make when trying to lose weight is to cut their calories to the point of near starvation. This is a recipe for failure. As mentioned, the average woman needs around 1500 calories per day in order to lose weight. Those with a sedentary lifestyle need around 1150. That might sound like a lot, but actually when considering all your meals and drinks (many people forget to include the calories from beverages) it works out at less than 500 calories per meal. Despite this, many of us try to cut calories to under 1000 each day. This may be okay if you’re looking for a very short term quick fix, but is nowhere near maintainable or healthy in the long term. When losing weight, try not to focus solely on how much you eat, but what you eat too. Calories are simply a measure of energy and yes, you need to cut down to lose weight, but you should also consider making life changes which will help you stay healthy and keep the weight off long term. Your average plain cheese pizza has around 200 calories per slice or 1600 calories per pizza. You could probably eat one pizza a day as your only meal and manage to lose weight if that is all you ate. But how much nutrition does that pizza contain? Food is fuel and we need certain nutrients in order for our bodies to work properly. Extreme diets like this lack a number of vital vitamins and minerals, protein and antioxidants. You’re likely to end up with a nutrient deficiency and some nasty side effects. Therefore, eating the right, nutrient packed foods is just as important as eating the right amount of calories. Eating meals that are packed with protein is the simplest way to lose weight. 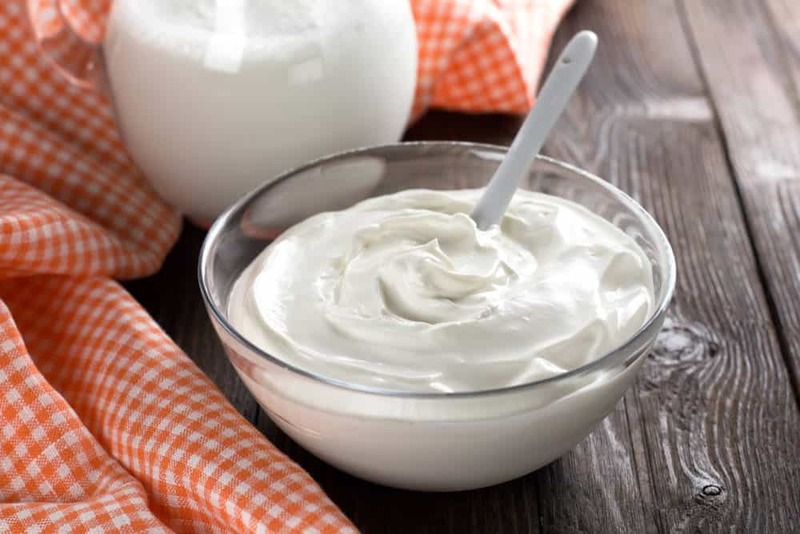 Eating more protein on a daily basis has also been shown to help you fight cravings which can be enemy #1 for any dieter. Sodas, fruit juices and flavored milks are filled with sugar. Drinking these is one of the worst decisions any dieter can make. Cutting sugary soft drinks from your diet is a relatively easy way to quickly watch the pounds melt away. 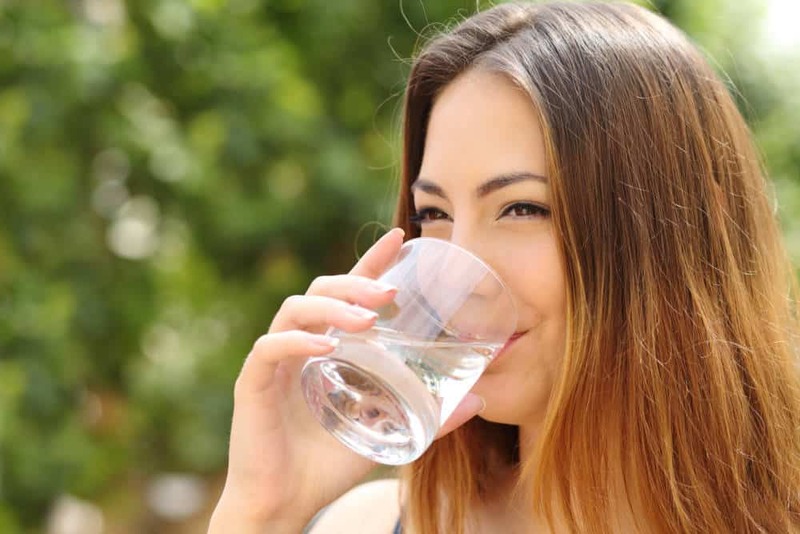 You could actually burn almost 100 extra calories by drinking around 2 litres of water per day. You don’t need to be a bodybuilder to lift weights. Although many people have the misconception that lifting weights will lead you to look like John Cena even if you’re a lady, weight training has a number of health benefits, especially for those looking to drop pounds. When you start eating fewer calories on a long term basis, your body compensates by lowering your metabolic rate. Furthermore, your body likes to hang onto your fat stores, therefore, it can start to break down muscle instead. Of course, if you don’t have a set of dumbbells at home and can’t get to the gym, you can use your own body weight for resistance training. Exercises like push ups, pull ups and squats can all be incorporated into a home workout and help reap the benefits resistance training offers. But it is also important to remember that on the road to weight loss, any form of exercise is beneficial. Exercising generally offers a whole host of health benefits. Exercising can help you sleep better at night, give you more energy, stave off illness and disease, help you live longer and generally improve how you feel on a day to day basis. Your age, gender and activity level all play a role in how many calories you need each day. In order to lose weight, you must be in a caloric deficit and burn more calories than you consume. 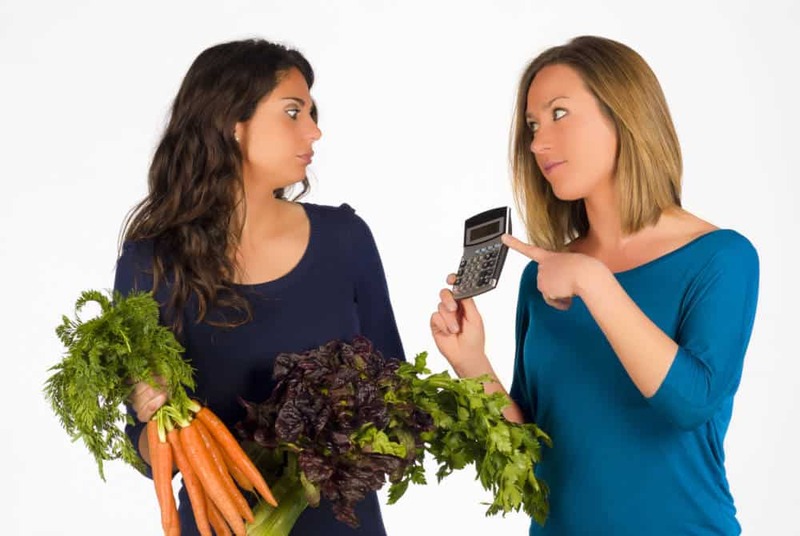 Be wary of any diet which limits your calories so dramatically that it borders on starvation. Avoid diets that drastically limits what foods or drinks you can or cannot consume.